Sulen Chai’s family moved to the United States in 1984 from Taiwan. She went to church from her childhood and called herself a Christian but did not have a relationship with Christ. While Sulen attended Florida Atlantic University (FAU), she joined Bible studies on campus and got saved there in 1993. She then began attending the Palm Beach Chinese Chapel. The next year, she received her Master’s in Mathematics and started teaching in colleges and universities. In 1999, Sulen dedicated her life to the Lord’s service. In 2004, she was called to quit her teaching job and to step out in faith. After Sulen was saved, she went to the women’s Bible studies led by Jeanne Schwartz and Dorothy Hsu from the HIM Chinese Outreach. This is how she became connected with Hobe Sound. In 1998, Sulen started going on the mission trips with the HIM Chinese Outreach to Taiwan for summer camps. In 2004, she moved to Hobe Sound to help in the Chinese broadcasting ministry. She did the technical and secretarial work of recording, running the equipment, and editing. She helped in the broadcast for several years until the doors closed on that ministry. When the broadcast ended, Sulen continued to upload the messages from the broadcast to the internet. In the past, the Chinese Outreach also produced a magazine called Lily, and Sulen would edit and send it out. Now she continues to help in the current media ministry. 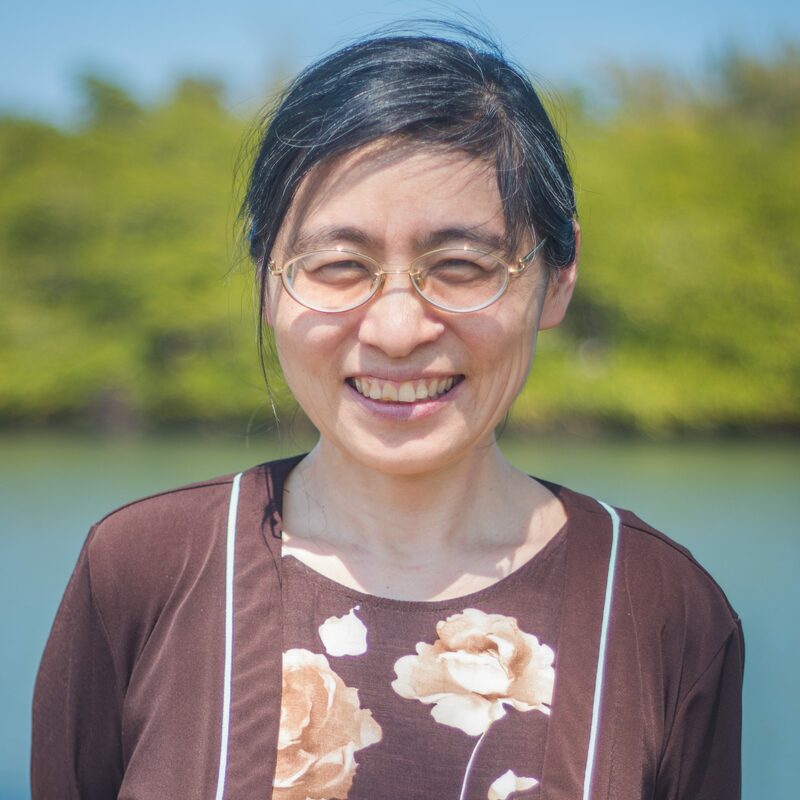 Sulen continued to assist the Chinese Outreach in the way she felt called—through a supportive and secretarial position—and began to serve more in the Palm Beach Chinese Church. She now supports the other missionaries leading in the church, serves on the Deacon’s board, and helps in the children’s ministry. From 2014-2016, Sulen was very ill, but God saved her. This gave Sulen an even stronger urgency for the lost and to see lives changed.